The Tenda U6 Wireless N300 High Gain USB Adapter features a 6 dBi ultra-long range OFC high-gain antenna, allowing fast connection speeds around your home or office. 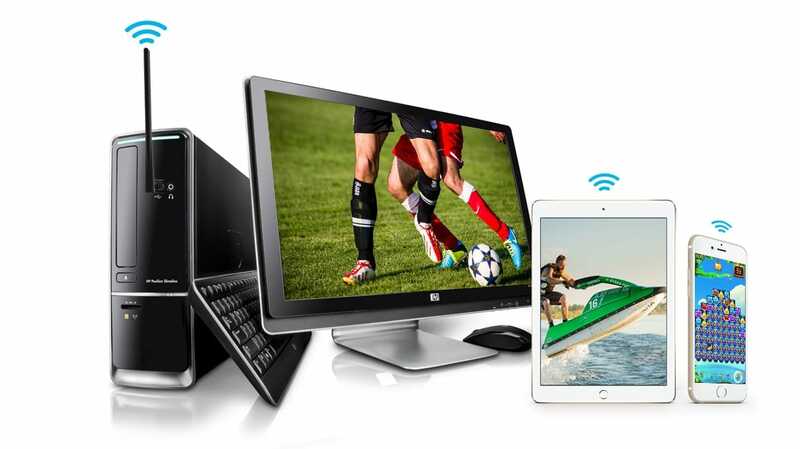 The U6 is a perfect addition to laptops and most mobile devices extending WIFI range and improving connection speeds. An omni directional fully adjustable antenna offering maximum flexibility for your devices. With a brilliant design that allows the antenna to rotate in multiple directions, the antenna can be adjusted for the optimum signal and comfort. 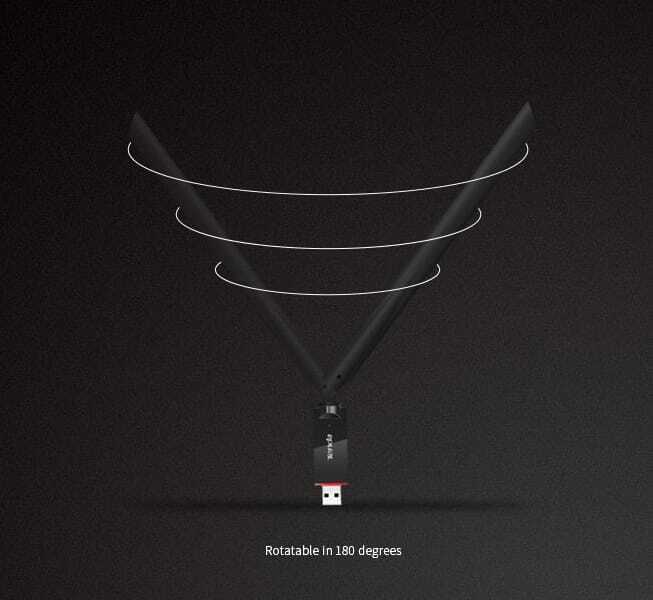 The adaptor performs best when its antenna is parallel with the antenna of your router. With data rates of up to 300mbps, the U6 offers reliable, speedy connectivity with data hungry applications. Powered by an impressive 300 Mbps wireless chip , its downloading speed is twice that of an equivalent 150 Mbps wireless USB adaptor with a 100 Mbps internet connection. The 2 x 2 MIMO architecture offers better wireless performance and stability for an outstanding gaming and video experience. The Soft AP mode enables the U6 to mount onto a PC that has wired internet connectivity and will function as a Wi-Fi hotspot allowing wireless clients such as mobile phones, tablets, and computers access the internet through the U6. Note: The Soft AP mode supports Windows XP/7/8/8.1 operating systems. Why buy the Tenda U6 300 Mbps high-gain wireless USB adapter from Connectec? We are approved Tenda resellers for direct access to manufacturer warranty and support.